Congratulations to Hannah Andrews for winning this contest! It's the most romantic time of year, and to celebrate, we are having a giveaway! Enter to win a $70 credit at ASH Jewelry Studio. After you enter, we hope you take some time to view our jewelry. 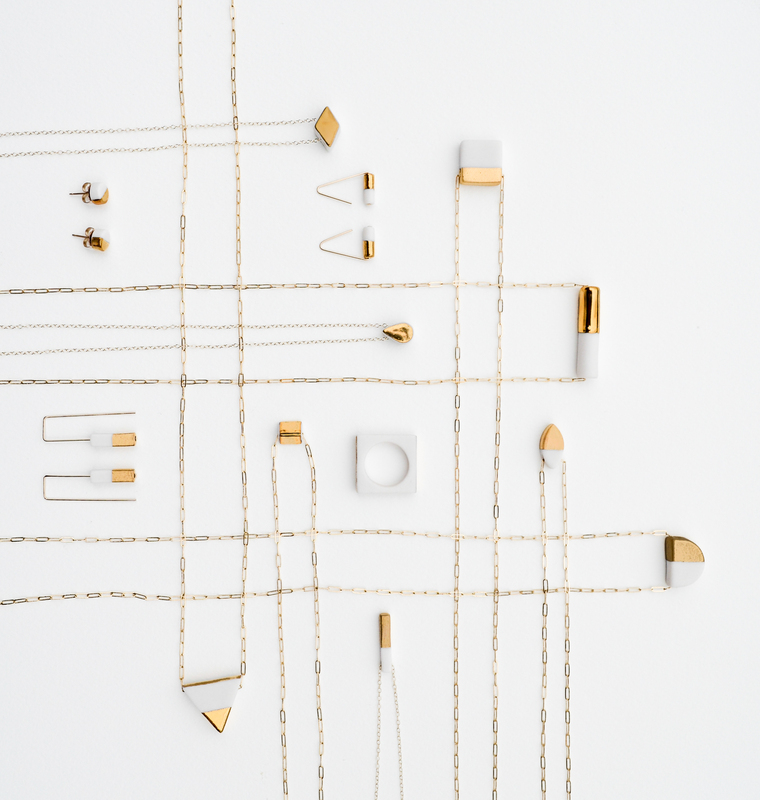 Each piece is handmade from porcelain clay and 14k gold filled metals. The winner will be randomly selected on February 14, 2017. Good luck! Exciting things are happening here at ASH Jewelry Studio as of late: fresh designs, a new website, and FREE SHIPPING! Check out the gallery to see my latest designs, including my tiny Mondrian-inspired stud earrings, a lucky horseshoe necklace, and more! We’ve been working tirelessly to get the new site up and I’m thrilled about the fact that you can now buy directly from my website. When you order from my site you are connecting directly with me, Ashlee Meadows. I’ve have designed and meticulously created each piece in the ASH collection. Along with the new site I’ve decided to change my shipping prices to . . . um . . . free. Yes, FREE SHIPPING on all orders! Free Priority shipping for all orders shipping within the US and free First Class International for all others.